Pumpkin Cheese Dip Recipe | Winners Drink Milk! Puree all ingredients EXCEPT pecans in food processor until smooth. Pour into dish and fold in toasted pecans and add a few on top for garnish. 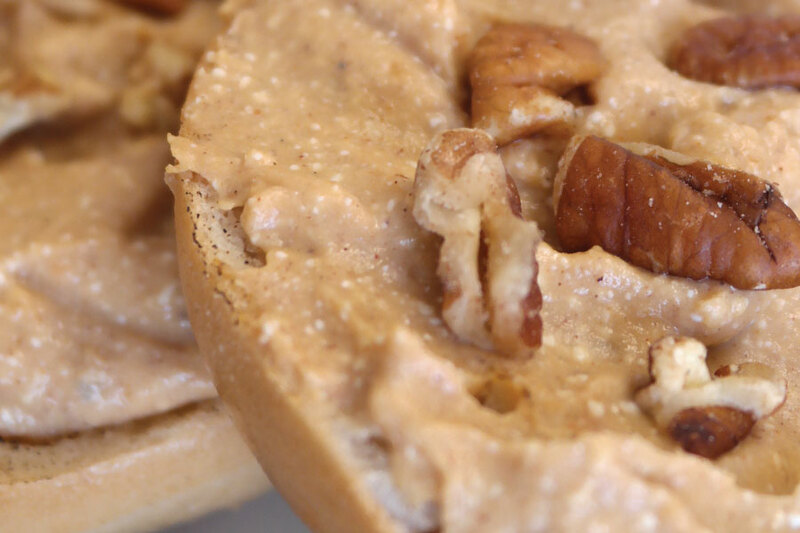 Use graham crackers, cinnamon pita chips or other chips to dip, or spread on whole wheat bagels for a great breakfast beginning! Maple Syrup adds flavor plus minerals that our bodies need to function. Pecans can be toasted in a skillet for 3-4 minutes, cooled, chopped and stored in freezer for up to 6 months. Pecans are loaded with vitamins, minerals and protein. Make each ingredient count! Using cottage cheese rather than sour cream lowers the fat and increases protein.